T. Michael and April, Co-founders of Beau Satchelle met while she was recruiting for an insurance company finding his resume on jobs board. They began talking long distance for some time in reference to becoming partners. Looking for a job worthy of his qualifications to match the skill of his Engineering background, became futile. Reality set in when T. Michael transitioned back to Michigan, after receiving a job offer in the automotive industry. He started working in the automotive sales industry concentrating in the medium-to-luxury auto market. As sales around the country started to diminish, he decided it was time to work for himself. He and April reignited the thought of partnering up with extensive conversations and the building of a brand began. April handles the administrative side of the business, while T. Michael works full time on design, product and website development, social media, marketing, advertising, as well as any additional aspects of the business. Our tag line is “Bespoke Luxury For The Discerning Individual” which stands for meticulously handcrafted luxury. “We are for those who have had the latest Gucci, Louis, Michael Kors; just to name a few; and want something to express their individuality as well as desire to own a heirloom luxury good that has functionality to fit an everyday lifestyle”. Beau Satchell has what it takes for your every bespoke luxury experience. Whether it be a travel bag with enough room to fit all of your necessities, including tech accessories neatly in its place, to an evening clutch to match your gown and/or new shoes purchased for a charity or holiday event. With our Vision, Passion and Craftsmanship, we always keep the connoisseur in mind. The gratification we feel when an new owner of one of our luxury goods says “I just love my new bag” is what sets us apart. And excitingly enough, each hand-stitched bespoke piece has T. Michael’s stitched signature throughout. The art of handcraft has many steps; from design to pattern making, sampling to modifications, hand cutting materials to assembling, hand-stitching to edge burnishing and finishing to hardware installation, just to name the basics. However, there are many additional steps that the owner of one of our bespoke leather luxuries have no idea takes place. 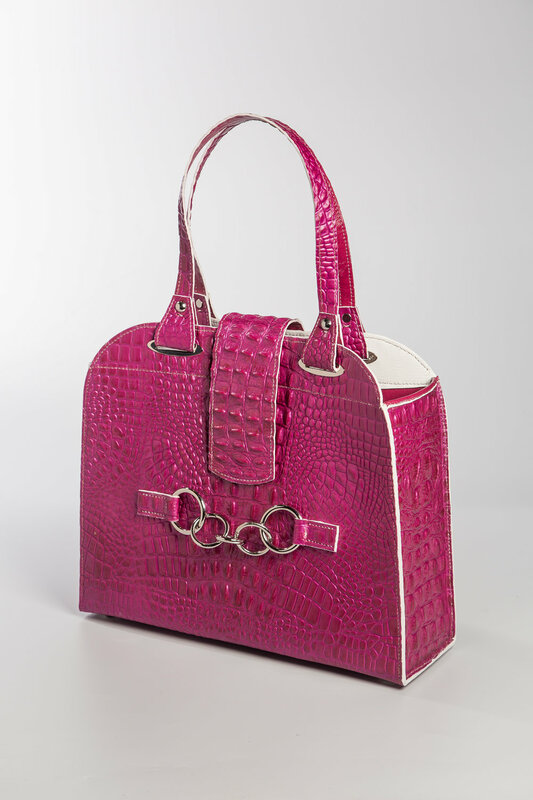 I would say that if we have our pattern completed and have sampled the product and are ready for production, it could take 25-30 hours to built and complete an average sized handbag by hand without any machines. Engineer by trade and having a deep fascination for building things during his youth, T. Michael took on his first challenge with leather in college, wanting to replace store bought cheap belts by making leather belts from scratch resulting in him purchasing materials and tools from the local Tandy Leather Factory. Later on in life he always found it rare to find local quality leather products that were not mass produced. New York had them, California had them, but not Detroit. Or so it seemed until he started searching. He found that there were quality leather products in Michigan that were handmade, but just not what he was looking for. He started reading books and researched online articles on how to make leather products. And then there was YouTube that took it to the next level of tutorials. T. Michael found himself indulging into video after video for days on end. This was the fascination that assisted in his endeavor coming to life. After continued tutorials from multiple online sources, which were many to choose from, he valued and preferred the traditional old-world European style craftsmanship. He wanted to build beautiful bespoke products. And he only wanted luxury goods that had to be solid and designed with quality as well as be visually stunning. He also wanted beauty, something to appeal to the senses; sight, touch, and smell. An adventure that would pull one in and give an appreciation that only bespoke can give.